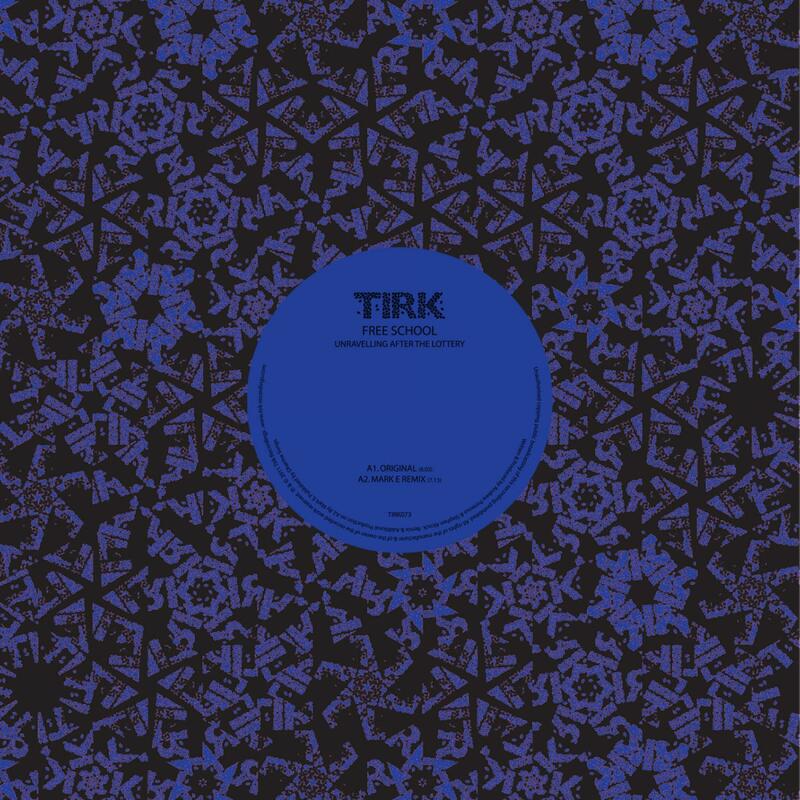 "Unravelling After The Lottery & I'm Not Nintendo"
Free School return to Tirk for their second EP, bringing the Balearic sounds of summer and the icy kosmiche sounds of winter all in one sweeping hit. Free School is maximalist and minimalist all at once. The band, hailing from Birmingham, like to compare themselves to Caribou, Orbital, Hot Chip, Fourtet, and Pet Shop Boys; all pretty good touchstones in our eyes, however it's the sheer gloriousness of their music that has us hooked. 'Unravelling After The Lottery' is a dazzling example of Free School's inclination towards smooth analogue tones, articulating the solid groove with lovely reverberated percussion. Mark-E steps it up in his remix with deep, deep bass and some tasteful synth flourishes amidst the original's foundational elements to supurb effect. 'I'm Not Nintendo' is as pleasing as they come, with layer upon layer of loveliness and a hook that will stick with you for weeks. Nutaike's 'Magnavox Odyssey' remix takes things a little more visceral, working those harmonics and melodies for that warm fuzzy feeling. These four lean mean dancefloor machines will warm the cockles of even the toughest crowds.